So the antioxidant and anti-inflammatory models of diet and skin care still reign strong. But what do I reckon the new wave will be? Anti-glycation. Here’s the down low. Theory is that sugar molecules bombard the building blocks of your skin, and form Advanced Glycation End products (aka AGEs, yep appropriate). A lot of the research came from the diabetes sphere, where we know that there is glucose-induced disease in the blood vessels, eyes and arguably the brain too. The skin molecules forming targets for AGEs are collagen and elastin. This means, instead of bouncy fresh building blocks, we have stiffened morphed ones which are more vulnerable to environmental insults like UV and smoking. If you need a visual like I do, then imagine a gummy snake wrapping around your skin’s collagen and strangling it! 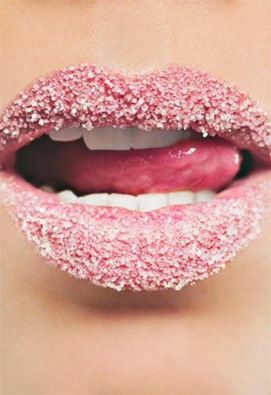 Current beauty science is looking into ways of disrupting the glycation process, hence freeing your collagen and elastin from the wraith of these molecules. At this stage, the cosmetic product of this research is a tad dubious – things like green tea! My thoughts on this are – so long as you aren’t paying $150 to have it popped into a cream, then do it. Just drink it! The other recommendations is to lean toward things that simply enhance your collagen stores, and yes ok plug here, but one of those things we know is using dermal fillers (hyaluronic acid). Anecdotally, ask a friend who has a filler under their skin to show you how it enhances skin texture after awhile. This is because it promotes new collagen. Retinoids (vitamin A) are probably the most researched anti-ageing medicine and there are plenty of studies (varying quality) which will show enhanced collagen formation. So, take home message? Watch out for the anti-glycation movement. Remember that the cheapest way to anti-glycate yourself is to avoid large influxes of sugar in your bloodstream. So sticking to a low GI diet helps, with added benefits that need no further elaboration! Ever noticed how your friends start to glow when they clean up their diet a little? Oh and maybe this is why Mum told you not to eat that Cadbury when you were a pimply teenager. Food for thought. Any questions, happy to field them!